MODEL NS143 - MOST POPULAR! 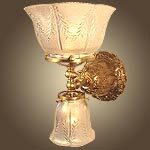 Shown in satin brass, this Victorian style 'up and down' gaslight reproduction features all cast brass parts. The glass shades shown are acid etched and imported from France. 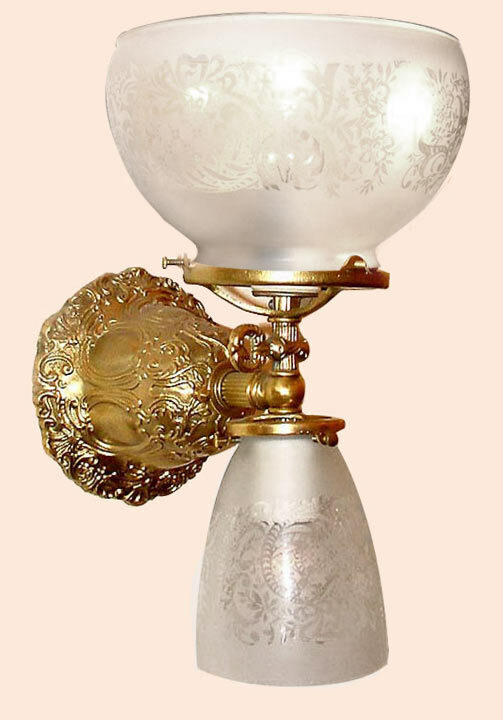 The faux gas key adds realism for the total overall effect of this gas light reproduction. Great in pairs and plenty of light! See MODEL NS18 and MODEL NS189 for alternate versions in different finish and alternate shades. 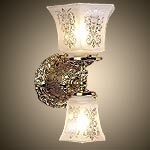 Can be mounted with glass facing up or down during installation. Width 7 In. / Projection 9 In. / Depth 13 In.